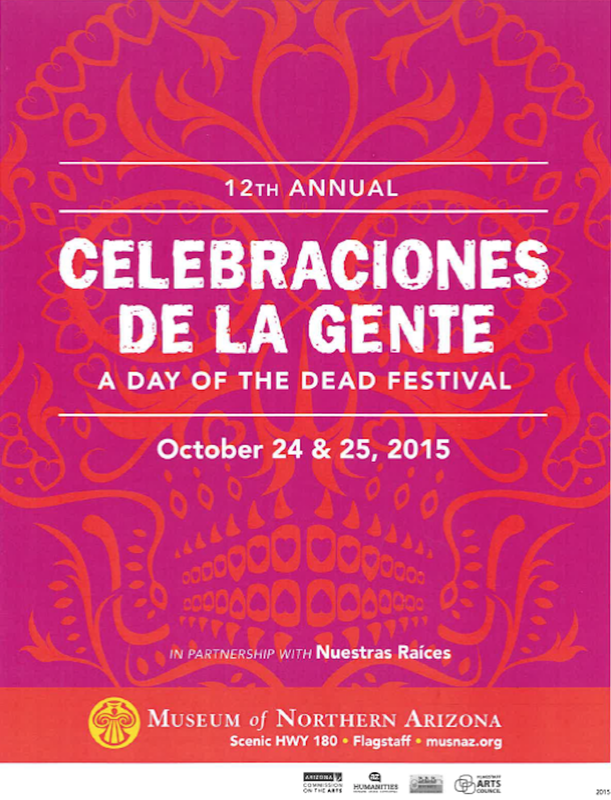 Celebrate Mexican cultural traditions in a festive and vibrant setting at the 12th Annual Celebraciones de la Gente, a lively Day of the Dead festival Oct. 24 and 25, from 9 a.m. to 5 p.m., at the Museum of Northern Arizona (MNA) in Flagstaff. 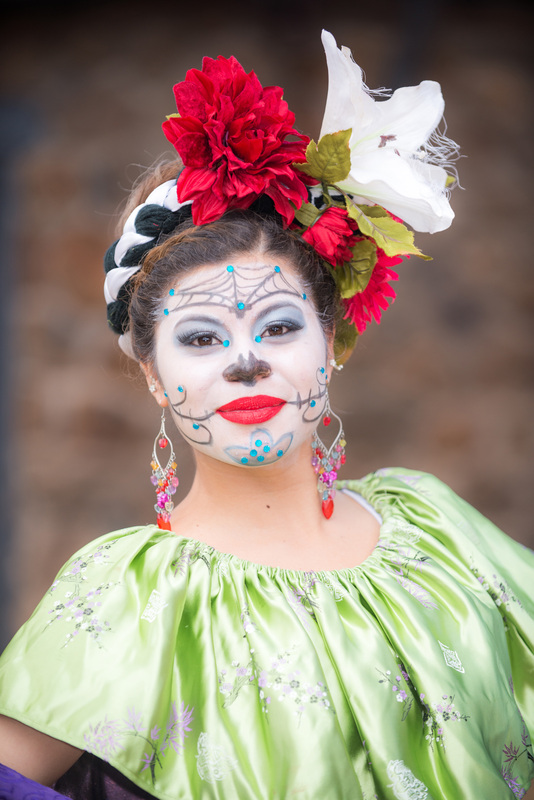 Visitors will enjoy two days of fine art and unique crafts, Ballet Folklórico and Aztec dancing, Mariachi music and Day of the Dead inspired crafts for the kids. 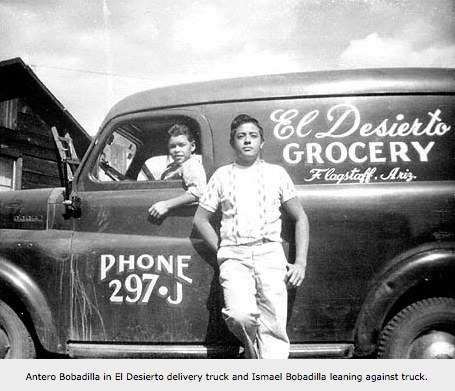 Celebraciones de la Gente is presented in partnership with Nuestras Raíces, a local grassroots organization of Flagstaff’s Hispanic pioneer families from the 1900s, dedicated to promoting Mexican, Mexican-American and Hispanic culture. Members of the group will lead insightful heritage workshops and discussions throughout the weekend. Photo courtesy of Tony Marinell. Day of the Dead (Día de los Muertos), an ancient pre-Columbian observance, is held throughout Mexico, Latin America and the Southwest on Nov. 1 and 2 (All Saint’s Day and All Soul’s Day). While rituals and timing vary geographically, central to every celebration is a gathering of friends and family who visit cemeteries to remember their loved ones. Today’s celebrations fuse centuries of indigenous practices with contemporary traditions and spiritual beliefs. 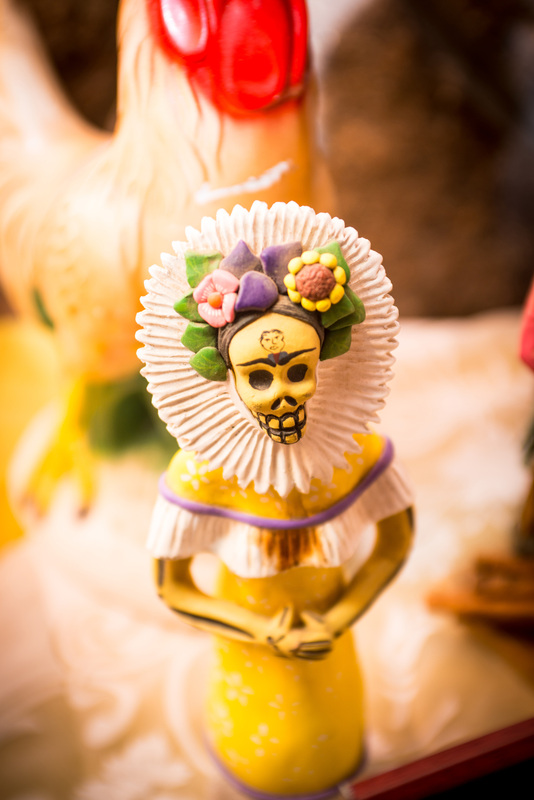 Ofrendas (altars), marigold flowers, sugar skulls and skeleton caricatures, pan de muerto (bread of the dead) and photos of those who have passed take center stage. The Museum’s Jaime Major Golightly Historic Courtyard will be transformed — decorated with brightly colored papel picado (cut paper banners), candles and flower-and-memento-filled ofrendas created by local families and artists. A members preview, Friday, Oct. 23, from 6 to 8 p.m. includes a silent auction and first opportunity to purchase artwork from participating artists. To become a member of the Museum of Northern Arizona, call 928-774-5211, ext. 219. The Museum of Northern Arizona is at 3101 N. Fort Valley Road, three miles from downtown Flagstaff on scenic Highway 180 leading to the Grand Canyon. Event admission is $12 adult and $8 student (with ID), American Indian (with tribal affiliation) and youth (10-17). Children under 10 and MNA members are free. Celebraciones is made possible through the Arizona Commission on the Arts which receives support from the State of Arizona and the National Endowment for the Arts, Arizona Humanities, City of Flagstaff BBB Revenues and Flagstaff Arts Council. For more information, visit musnaz.org, 928.774.5213 or contact Flagstaff Nuestras Raíces at contact@flagstaffnuestrasraices.org for more information.